The Foundation is Born The outrage of the 1996 attack galvanised Chand’s international supporters. Nek Chand himself stated that 'The vandalism was not directed at the sculptures but at Nek Chand, as they very well know that my heart and soul lives within them'. Authorities in India received hundreds of letters from around the world. A school in Little Rock, Arkansas USA sent children's pictures with messages urging the authorities to save the Garden. The following year saw the formation in London of a new official charity, the Nek Chand Foundation. With initial funding from the Paul Hamlyn Foundation, Sara Burns, who founded the NCF with John Maizels, travelled to India to hold high level negotiations with both local and national politicians. Gradually the Foundation was able to have an effect on the way Nek Chand was perceived by officials in Chandigarh. Before too long the corrupt Chief Engineer who had withdrawn the Rock Garden staff was arrested and other officials fled retribution, one even being murdered by opponents regarding another corruption case. Nek Chand had vanquished his enemies and the Chandigarh Authority handed over management of the Garden to a specially formed local charity, the Society for the Maintenance and Preservation of the Rock Garden. Early Years Struggle However, it was still some years before even this new body was willing or able to give the full support needed. Although all gate money was now supposed to be released for Rock Garden development and maintenance, a huge backlog of withheld funds built up. It was not until the Foundation's volunteer programme became a constant feature of the Rock Garden that the Chandigarh Administration fully began to support the Rock Garden once more and release some of the funds needed to complete this great work. However, the release of funds for the development and maintenance of the Rock Garden is a constant problem. Although it has been agreed that all the entrance money to the Rock Garden is to be spent on works and maintenance, there are often long delays in gaining approval for works and as a result progress at the Rock Garden faces constant frustration. 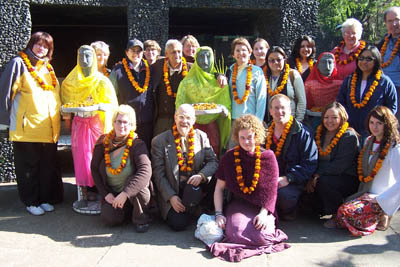 Work of the NCF In 2001 a fifteen strong delegation from the Foundation took part in the 25-year Silver Jubilee celebrations of the Rock Garden and Nek Chand was feted and praised by a string of Government officials. 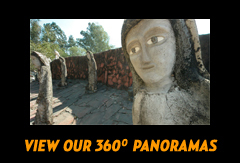 Almost 15,000 people thronged the Rock Garden to witness the opening of a series of ‘laughing glasses’ - fairground mirrors shipped to Chandigarh from London at Nek Chand's request as a gift from the Foundation. Thousands formed long queues that wormed their way slowly to the mirrors, only to break out in howling laughter, creating a sense of pure joy that was well at ease in the magical environment of the Rock Garden. 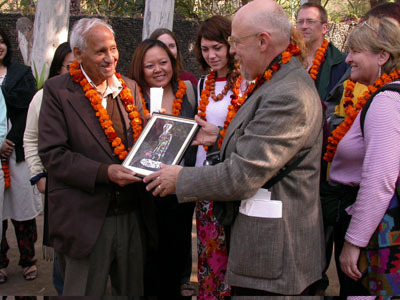 Since then, the Nek Chand Foundation has continued to work for the Rock Garden. It has coordinated visits, arranged exhibitions and museum donations, promoted documentary media, and developed the international volunteer programme. The Foundation tries to encourage the city authorities to honour their pledges to support the Rock Garden and this is perhaps the greatest concern for the future. 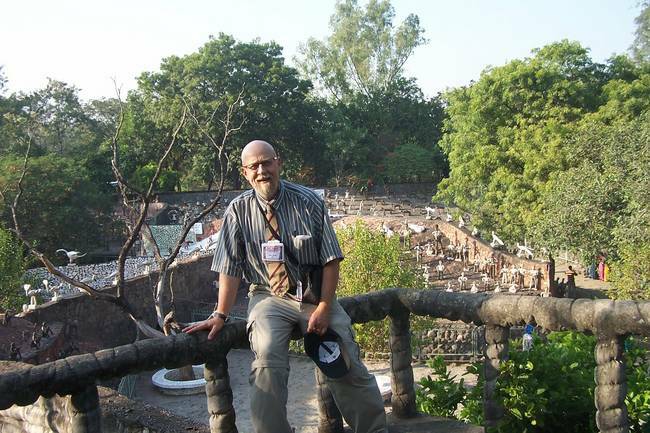 Tony Rajer Anton 'Tony' Rajer was the moving force behind the Nek Chand Foundation for 10 years. His death in 2011 was a great blow and his contribution will be irreplaceable. Not only did Tony spend many weeks in Chandigarh cajoling government officials and organising major events of support but he was entirely responsible for saving Nek Chand's other Rock Garden in Kerala. The 2 acre Panchkula Rock Garden had fallen in to disrepair through neglect and vandalism but Rajer persuaded the local authorities to completely restore it with the help of volunteers from the NCF. The Foundation is always happy to hear from anyone offering support or wishing to apply for the volunteer programme.